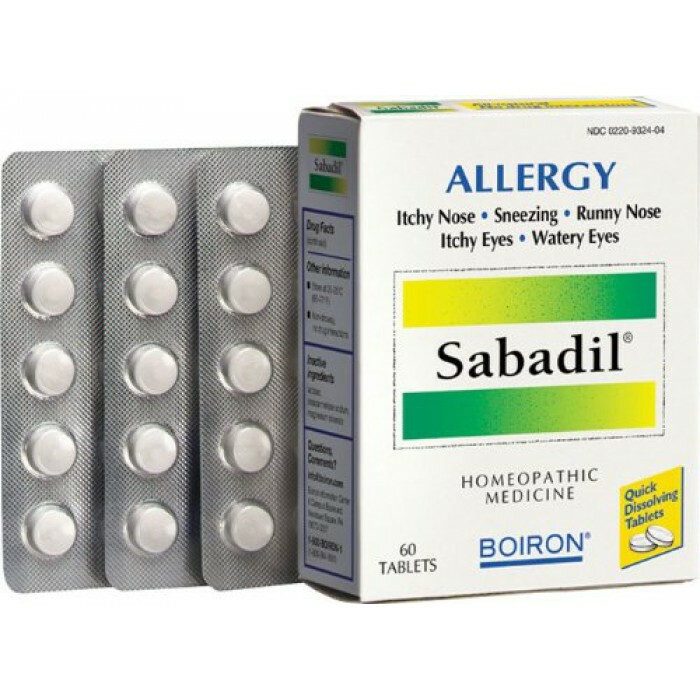 When allergy symptoms attack, reach for the safe, natural relief of Boiron Sabadil. This non-drowsy formula combines six active homeopathic ingredients to relieve hay fever and other upper respiratory allergy symptoms including itchy nose, sneezing, runny nose, and irritated, watery eyes. Unlike most allergy products, with Sabadil, there's no risk of drug interactions.